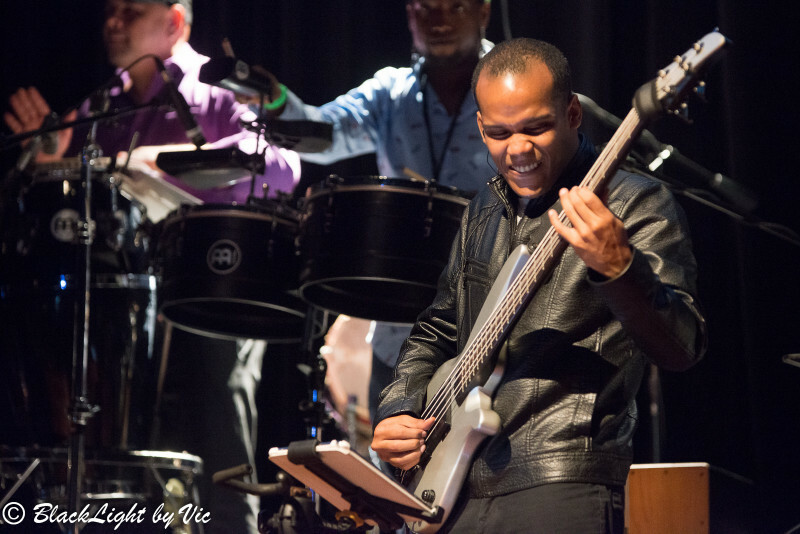 If you are pounding out THOSE rhythms, you want someone to be playing bass…. 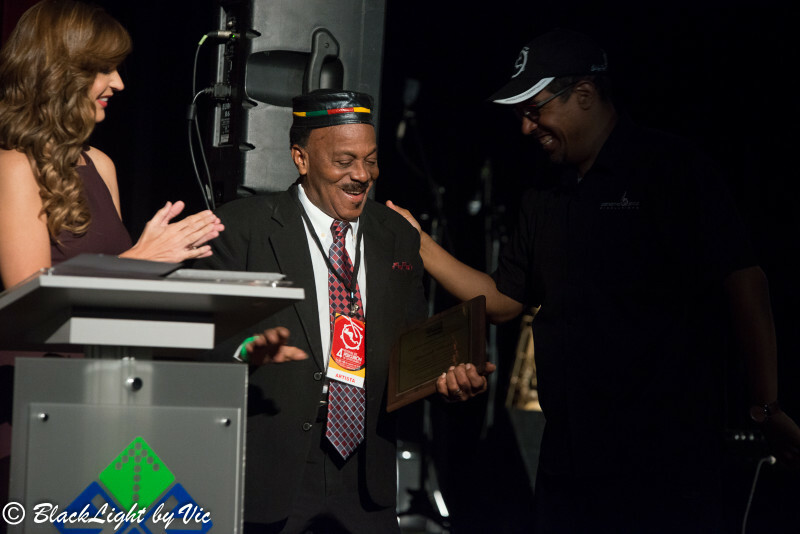 Danni Clovis was this year’s specially honored musician. 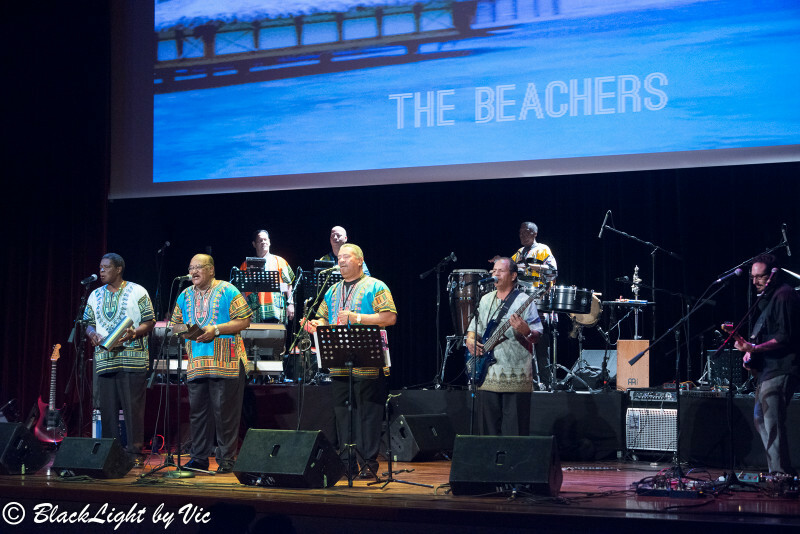 The Beachers are used to performing for a livelier audience. They feed off of their audiences’ feedback. 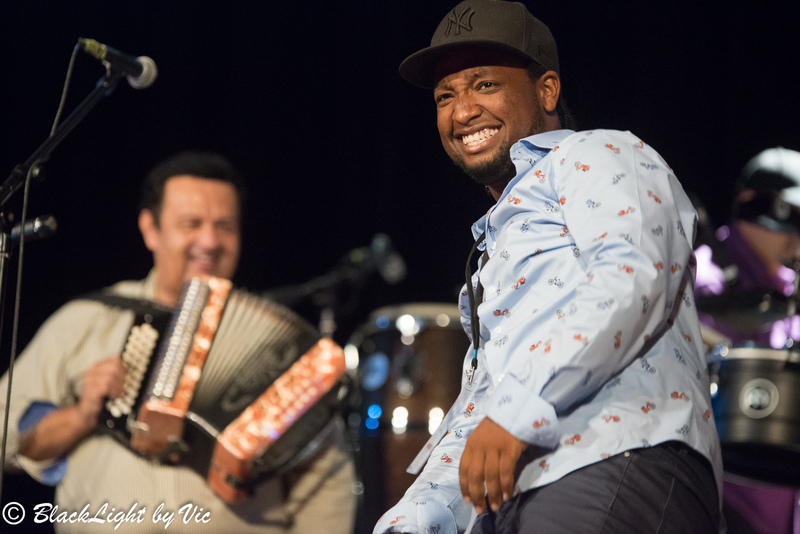 While their performance was energetic as always, the audience feedback wasn’t always there — at least not at the level that they’re used to, for example at the Afro-Antillean Fair. Pecussionisst Eric Blanquicet, who is from Colon, in the foreground with Osvaldo Ayala behind. 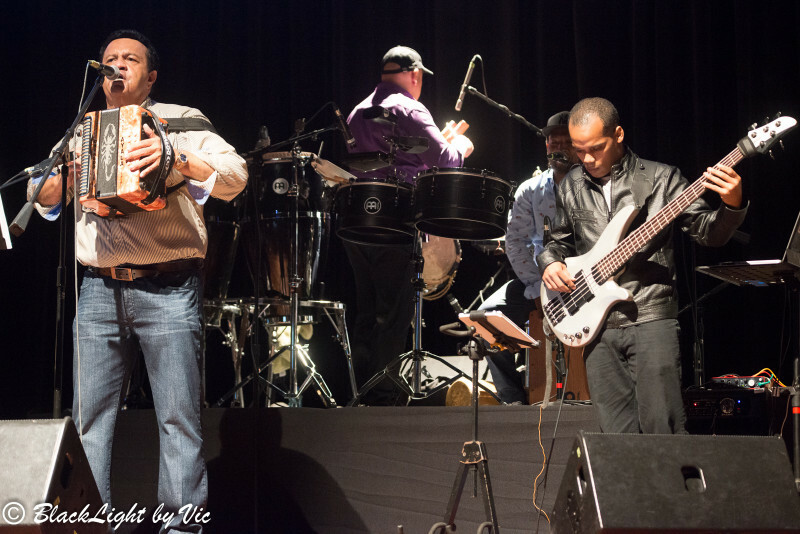 Transistmico Project was filled with an interesting fusion of some classics from different genres thanks to producer Billy Herron. 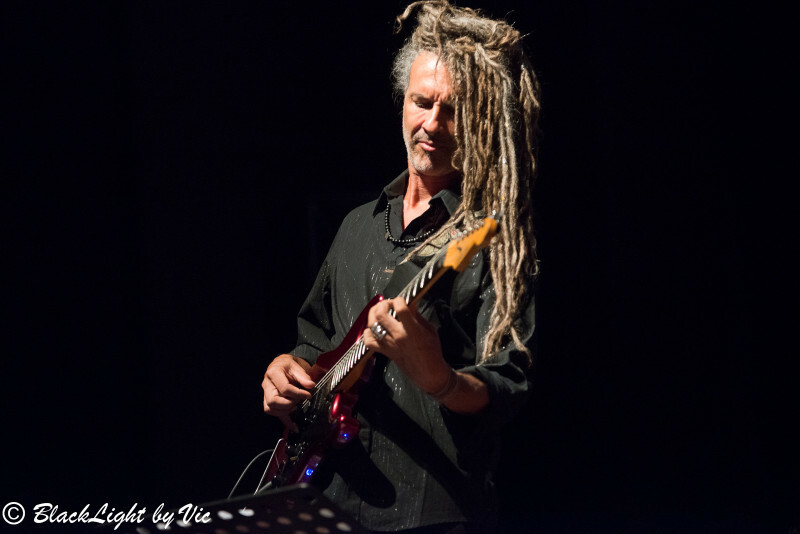 Guitarist Jean-Christophe Millard, from the French Caribbean island of Guadaloupe. 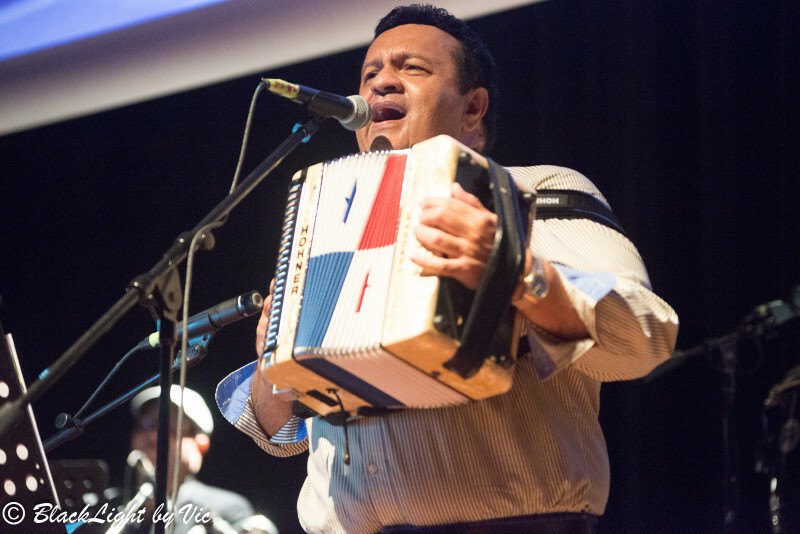 Osvaldo Ayala, known for his cumbia tunes, does things differently as part of the Transistmico Project.